Our current Google rating proves that we are the best in Waco. 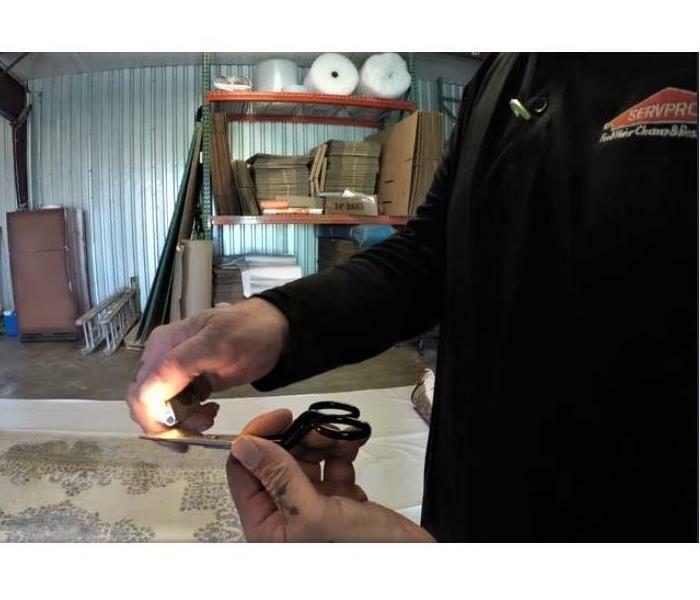 When it comes to looking for a company that specializes in emergency water or fire damage, you do not have the luxury of time to complete your due diligence in searching for the best company to service your home or business. While Google ratings are a quick and easy way to check previous customers’ experiences, most people often rely on those in the industry to refer out their preferred company when a need arises. SERVPRO® of Greater Waco has over 35 5-star reviews on Google and is the only completely 5-star rated company with more than 15 reviews in Waco. Why would you just stop at the Google ratings, why not look to the nation’s largest and most preferred restoration company by the insurance industry itself. The SERVPRO® network is the preferred restoration company for over 88 insurance carriers, and over 267 commercial entities, with most of them having a presence in the Waco area. How does that translate to a benefit to you as a customer? SERVPRO®’s preferred vendor contracts with these carriers includes things like guaranteed yearly background checks on all employees, some include a 5-year warranty on any work SERVPRO® completes, and all guarantee a 4-hour maximum onsite arrival time once we are contacted. No local restoration company can boast credentials even close to that. As part of the SERVPRO® network, SERVPRO® of Greater Waco is the logical, and most often preferred, restoration company by the insurance industry when your home or business suffers from a water, sewage, or fire emergency. 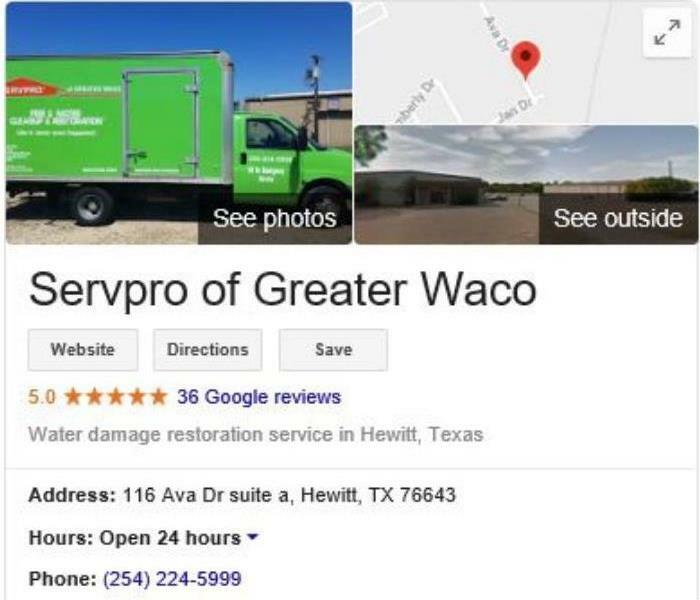 Call SERVPRO® of Greater Waco at (254) 224-5999 to let us serve you and your family, to let us help you take back control of your home, and to experience the level of quality that has earned us the top Google Rated restoration company in and around the Waco area. Storms cam happen anywhere and at any time. Every year, Americans cope with a number of different categories of intense storms. These types of severe weather range from severe thunderstorms, flash floods, tornadoes, to hurricanes. The vast majority of national emergencies declared in the U.S. are related to weather and account for billions of dollars in damage and even the loss of many lives. Understanding there is a risk whenever severe weather is about to occur and taking proper action are the first basic steps you should take in order to keep yourself and others around you safe and sound. Knowing that there is a potential for damage is key to preventing it from happening. Check your local weather regularly and plan accordingly depending on the forecast. Have a shelter plan for your household or business. Tie down or secure anything outside that could be moved by heavy winds. Understanding is the first step, taking action is the next. Practice your sheltering plans. Have proper equipment to secure belongings. Buy a weather radio. Take action and be prepared for severe weather. An example of the 'burn test' we perform prior to cleaning a carpet. Rising water levels can mean disaster after torrential rains. Slope or grade away soil from the foundation of the structure. Runoff can slowly begin to compromise the integrity of your foundation if not redirected. Clean out all gutter down spouts and direct them away from the foundation of the building. Ensure that all gutter system cracks and holes are plugged up or caulked. Understand where your home or business is located relative to the sanitary sewer system and install back-flow valves in the event that the main sewer line is overloaded. Contact a licensed plumber to see if a back-flow valve is necessary in your home or business. If sandbagging is needed to help redirect and divert water away from the building, fill bags with sand up to ½ to 2/3 full because they are easier to stack, stagger and manipulate this way. Tying the bags is not necessary and it is advised that you set up the sandbags before flooding occurs. There are also options such as manufactured barriers that self-deploy using the water itself as a means to divert water away and they appeared to be less permeable than using sandbags. Even if you’re in an area that has a lower risk of flooding, it is always important to have a plan of action in place. If you property is damage by a storm or by flood waters be sure to contact your storm restoration experts at SERVPRO® of Greater Waco. An example of air movers and dehumidifiers used in our water damage restoration jobs. When faced with water or fire damage in your place of business, we understand that the safety of your clients and employees are a top priority. There are risks that arise from a water or fire event that if improperly cleaned or remediated could result in significant further damage. For example, after a water event there could be the hazard potential for slips or falls and if the water remains standing for long periods it could develop smells, begin to grow mold, and can deteriorate any flooring into an unsalvageable state. Fire events have their own risks including ‘fire soot’ that contains chemicals like formaldehyde (used in embalming). Fire Soot is extremely acidic and if these soot chemicals remain on your business’ walls, ceilings, air ducts, furniture, and vents of your structure they can begin to permanently affect them. Here at SERVPRO® of Greater Waco we work hard for you to restore your structure to its preloss state. We are available to help you bypass any restoration project planning and reduce the overall cost that is required to restore your building back to its preloss state. A timely response can also decrease the exposure duration to unhealthy conditions that could cause sickness to anyone who enters the premise. Make sure to call SERVPRO® of Greater Waco at (254)-224-5999 if your business is affected by a fire or water damage. 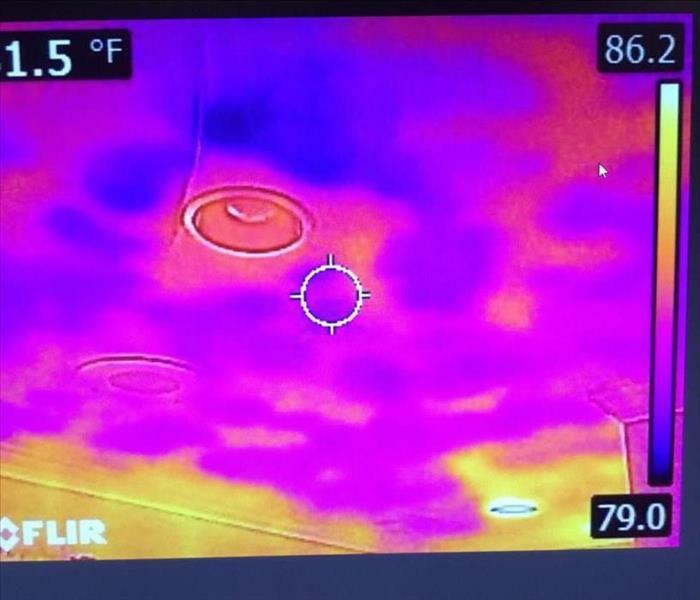 Example of infrared readings in a commercial Waco property. Dark purple alerts us of a significant difference in temperature. Why SERVPRO® of Greater Waco? As an agent, adjuster, or any kind of insurance professional, you have a number of responsibilities. Of these responsibilities are recommending reputable service companies to your clients as well as keeping claims costs down for your company. SERVPRO® of Greater Waco is a highly qualified and trustworthy company that fill many needs to your clients when they find themselves in the middle of a fire or water loss. Arriving at a loss in a timely manner reduces damage and therefore reduces the cost of restoring damaged property. An immediate response is vital to limiting damage, and SERVPRO® of Greater Waco strives to arrive on the scene as quickly as possible. This falls in line with taking care of both the home or business owner in conjunction with limiting costs for the insurance provider. Replacing property is far more costly than restoring property. Pretesting is a necessary step in the restoration process to determine the level of damage and dictate the necessary actions to begin restoration. A lack of pretesting could cause the quality or scope of the work to diminish which leads to unhappy clients. Your SERVPRO® of Greater Waco professionals will always pretest the site in order to determine the extent of damage and the proper course of action to restore the property. Proper training is ideal for providing your clients the best service possible. Your SERVPRO® of Greater Waco franchise professionals are trained to industry standards in Fire and Water cleanup and restoration. Additionally, SERVPRO® of Greater Waco hosts continuing education classes available periodically to insurance professionals as well as our franchise professionals. Timing, pretesting, and training are just a few of the reasons that insurance professionals and companies can trust SERVPRO® of Greater Waco to take the best care of their clients while limiting costs by restoring in place of replacing property. When we’re not on site restoring a home or business, we are continuously working for our clients by training our technicians during any down time, by performing regular maintenance on our equipment, and by always being on stand-by to respond to your calls. But as dedicated as we are to providing the best customer service to you, we could not be where we are without family. SERVPRO® of Greater Waco is first and foremost a family-oriented business because we know that without our loved ones, we would not be where we are today. We take time outside of the office to enjoy time with our work family and our children because we understand that by building and strengthening these bonds, we are stronger as a team and we are able to be a light for our community and clients. 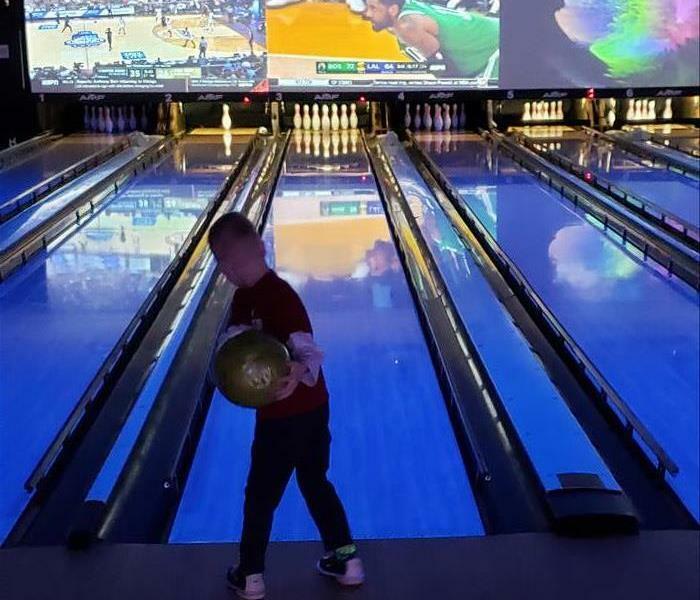 During Spring Break, we “struck” in some fun times at AMF Bowling in Waco. The afternoon was filled with giggles, fantastic wins, and a sneaky little player who used pizza grease to up his bowl game. Remember that when it comes to taking care of your home and your family, make sure to call ours. Here's an example of multiple types of growth that was found behind the cabinets in a Waco area home. With the popularity of home improvement shows such as Fixer Upper and Property Brothers it is now commonplace to hear concerns over the horrors of ‘toxic black mold.’ Though the worry is not unfounded, they are often littered with misconceptions regarding mold. Here at SERVPRO® of Greater Waco we know that only by educating ourselves as much as possible about a problem can we better equipped in resolving it. It’s important to understand that mold itself isn’t toxic, it is the mycotoxins released by certain molds that are harmful. Some of the culprits that release mycotoxins include: Stachybotrys or “black mold” (a.k.a. stachybotrys chartarum, stachybotrys atra) and species of aspergillus including aspergillus niger, aspergillus flavus, aspergillus fumigatus. For more information check out https://moldpedia.com which goes into some more detail about these species of mold. Exposure to mold can go undetected but can show up as allergy symptoms such as sneezing, sore eyes, runny nose and nasal congestion that improve when you leave the building. 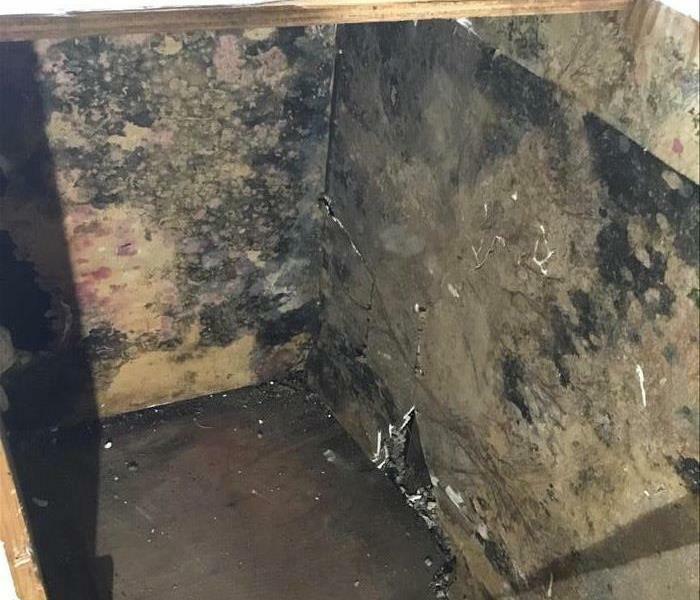 Mold is found everywhere because it can grow on almost any surface as long as the temperature, food source and moisture meet its needs (check out our photo gallery HERE for some good examples of what mold looks like in buildings). In a recent mold inspection of a home in Waco, Tx, it was discovered that the structure contained over 20 types of molds including stachybodrys. If you suspect that mold of any type is growing in your home or business do not hesitate to call us at (254) 224-5999 to schedule an inspection. An incomplete mold remediation could spread out the mold and lead to more mold growth so we ask that you practice caution if you decide to undertake the project yourself. Read more about what the CDC suggests regarding mold cleanup HERE. 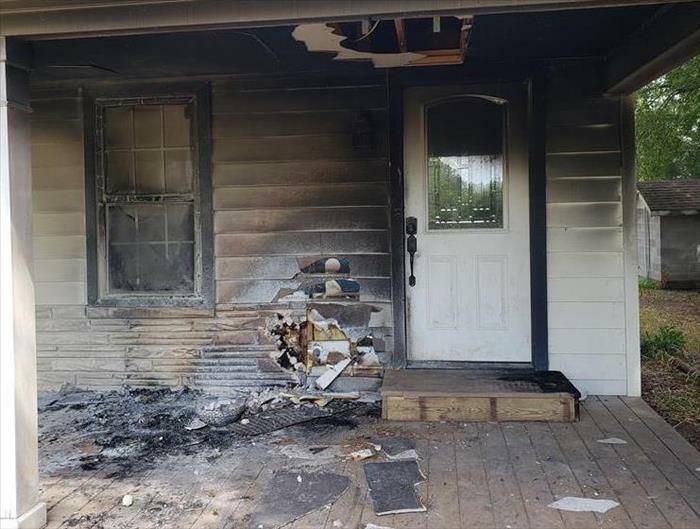 This Fire was caused by a cigarette that did not make it into the ashtray properly. 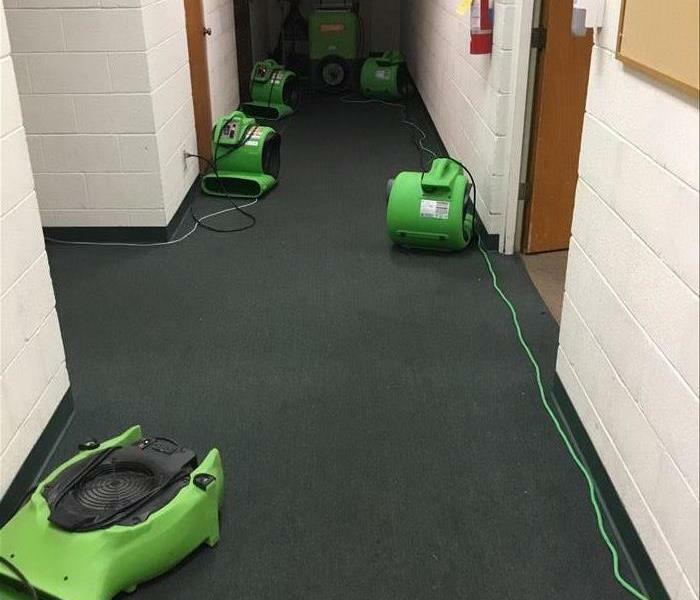 SERVPRO® of Greater Waco was called out to clean up the aftermath. With the holidays behind us hopefully everyone has put up their Christmas decorations. As homeowners it is essential to be mindful of the presence of fire hazards and to minimize the possibility of them causing a structure fire. A good example is keeping around a severely dehydrated, and highly flammable Christmas tree too long. SERVPRO® of Greater Waco has compiled the following prevention tips for some areas in your home to help keep you and your loved ones safe from possible fire hazards throughout the new year. • Avoid leaving cooking food unattended. If a grease fire occurs, use baking soda to extinguish it. NEVER use water on a grease fire. You can smother the fire in the pan by starving it of oxygen by placing a lid over it. Always supervise children that are cooking and educate on the dangers of fire and cooking appliances. • Be aware of where you leave pot holders, dish towels, aprons and any cooking utensils. • Invest in carbon monoxide detector if your home does not already have one if you use natural gas for heating and cooking. • Make your home a smoke free environment if possible, or at least ensure that cigars, cigarettes, and pipes are properly extinguished prior to disposal as they may continue to burn and may reignite. • Be aware that clothing or draperies do not rest atop lighting such as desk lamps. Take a moment from your day to check the areas in your home and see if there are any possible fire hazards. Check out our next blog for fire safety prevention tips for your bathrooms and garage from SERVPRO® of Greater Waco. 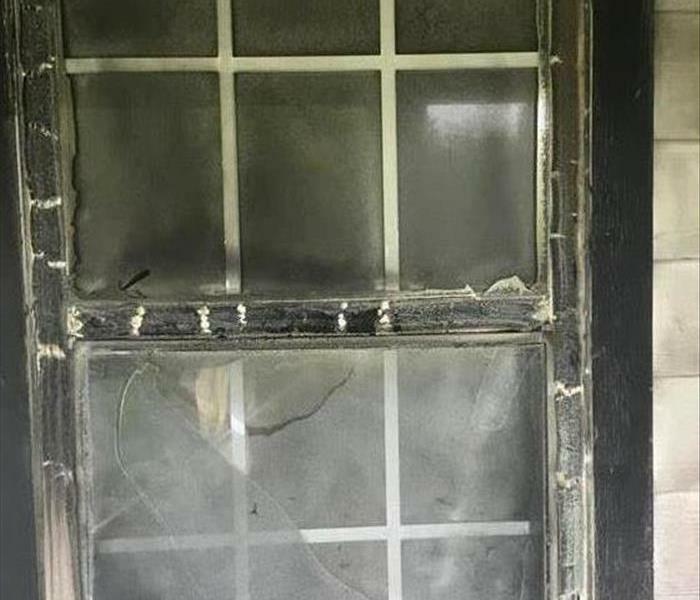 This home window was melted from the heat of a fire, it suffered no direct contact with the flames, but melted due to its proximity of the flame. In our previous blog SERVPRO® of Greater Waco covered some fire safety tips for the kitchen, living areas, and bedrooms. Here you’ll find more suggestions on locating possible fire hazards that exist in your home and reminders of how to keep you and your loved ones safe from structure fires. • Chemicals such as fuels, solvents, cleaning agents, thinners, adhesives, and paints could ignite or explode due to improper storage. Make sure you take time to organize chemicals and to properly store them, preferably away from the house if possible. Dispose of anything that is damaged or leaking. • If fire extinguishers are present in the home, ensure that everyone knows its location and how to use it. We also recommend having a fire plan in place. Now, this is not a comprehensive list by any means, but these tips should be covered with family and/or roommates so that everyone understands where fire hazards exist for everyone’s safety and well-being. SERVPRO® of Greater Waco hopes you never have to experience the effects of a fire loss where you live, but we are here to help if you ever need our services. Call us 24 hours a day at (254) 224-5999. 4/10/2019 - Are You Working With The Best Company? 3/22/2019 - Need remediation for your business?